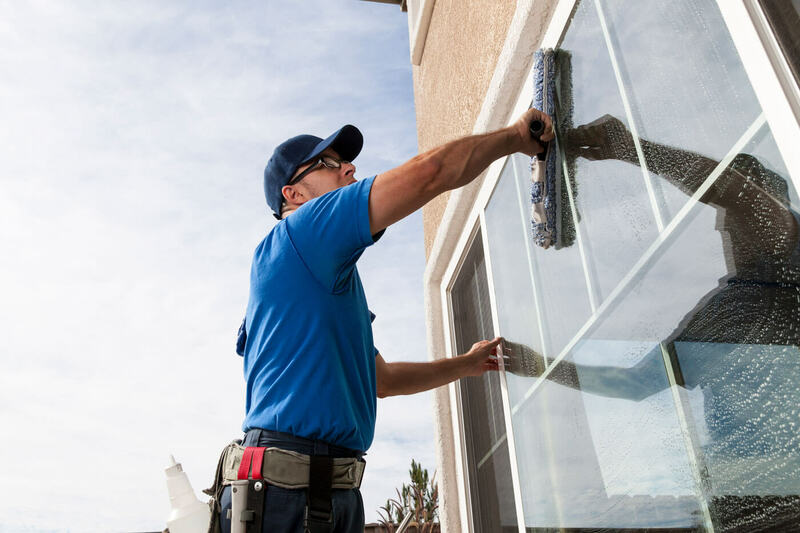 Make your windows sparkle with Sound Cleaning commercial window washing and cleaning services. Sound Cleaning is pleased to provide the highest quality commercial interior and exterior window washing services while practicing the utmost in safety standards. Our commercial window cleaning technicians undergo extensive training and have a minimum of 5 years window cleaning experience. If you are looking for a commercial window washing and cleaning services company, Sound Cleaning Resources will get the job done right. What is your commercial window washing process? We use non-toxic, biodegradable cleaning solutions with Ettore Washers and Squeegees. Using clean water and the right dilution ratio produces streak free glass. Genuine Microfiber cloths are used to clean any excess water in the corners, edges and frames. What else do your commercial window cleaners clean? We clean windows inside and out as well as tracks, frames, screens, skylights and more! How do you reach high windows? We use ladders to reach windows on the 1st, 2nd and 3rd stories. Our technicians utilize rappel methods to access higher windows with ropes, safety harnesses, chairs and always put safety first while taking every precaution to care for your premises. Are you insured for commercial window cleaning? Do you have references specifically from other commercial window washing customers? How much does it cost for commercial window cleaning services? Prices can vary based on the size, number, height and accessibility of the panes. Call us at (425) 451-3337, click here for an online estimate form or email us at info@soundclean.com for a free customized estimate.